Betty Ruth Austin Elmore – Age 82, passed away July 31, 2017 in Nashville, TN. Born March 13, 1935 as the only child to William and Lula Elizabeth Austin, she married her Bobby, Robert Elmore, Sr., on December 17, 1951 and was his devoted wife for 64 wonderful years. 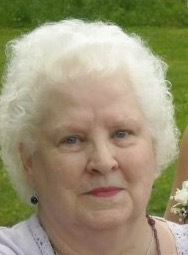 She was a loving mother to Kenny Elmore, Karen Deal, and Susan (Mike) Davidson; a loving aunt to special niece Judy (Pete) Opolka; and a much loved, caring Granny to Amanda Elmore, Josh Davidson, Amy Enoch, Chris Davidson, Robert Elmore, III, Allison Deal, Austin Deal, and 7 great-grandchildren. A funeral service will be held 1:00 p.m. Saturday, August 5, 2017 at West Harpeth Funeral Home. Burial will be held at 11:00 a.m. at Middle Tennessee Veterans Cemetery. Grandsons will service as pallbearers. Visitation with the family will be held Friday from 4:00 p.m. -7:00 p.m. and on Saturday from 12:00 p.m.-1:00 p.m. at West Harpeth Funeral Home. I am so sorry for the loss of Aunt Beth Ruth. Prayers for you all. My love and prayers to the family. I know you will miss her! Love you. My prayers are with you in the loss of your Mother. May God give you the strength and courage you will need during this difficult time. I was in Betty’s Sunday School Class when I lived in Bellevue. She was a very sweet, kind and good Christian Lady.